Distilled Willpower: Milestones - How can I make Time Faster? Milestones - How can I make Time Faster? The next big game milestone for me is Batman: Arkham City and that's not until October. That's right - OCTOBER! What on Earth am I going to do till then? And it's true - when it rains, it pours. November sees Uncharted 3 (still working my way through the first game, but it's a lot of fun and I'll probably eventually get this), Modern Warfare 3, Assassin's Creed: Revelations, Saint's Row the Third and, of course, Skyrim. That's going to be one hell of a month. 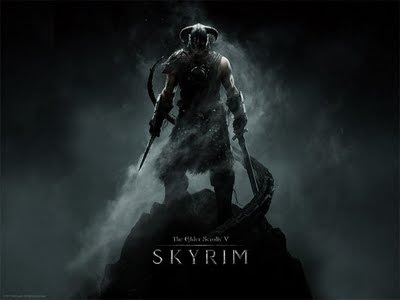 Ultimately, Skyrim will probably win out and dominate my November, December and pretty much every waking second until Guild Wars 2. The only problem with this is that I'll be missing out on so many other nuggets of hot fried gold which are on offer. [GW2] Guilds: My most Laboured Metaphor yet! I could fight any one of you!